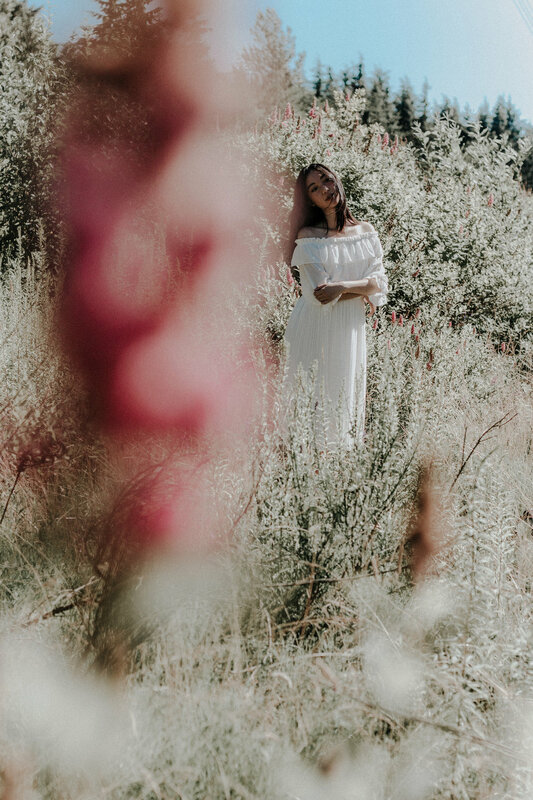 I went back up to the fields to photograph this beautiful off-the-shoulder white dress from VIP Shop. I'm in love with the ethereal glow it gives off in these photos! 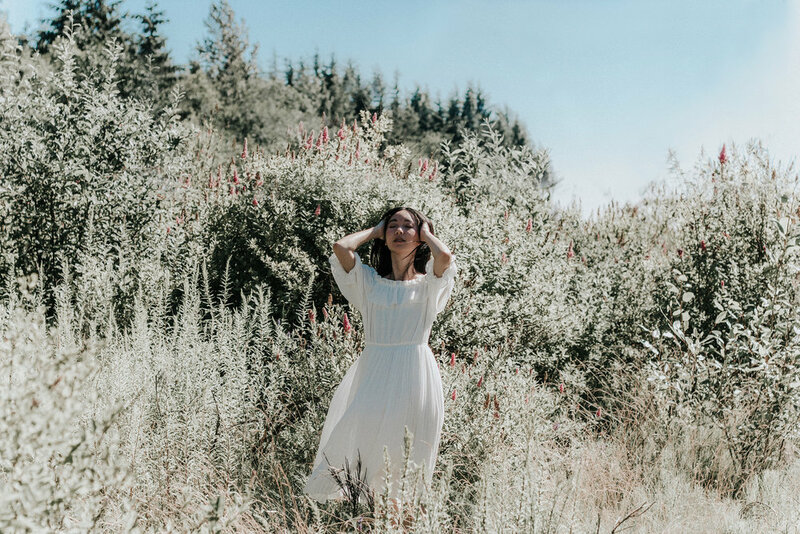 As you may know if you've been following my Instagram, I love nothing more than a white dress in a tall field, it gives off a melancholic and almost daunting vibe. Also, if you have taken photos with me you know I typically have a vision of what I'm looking for in my photos (blessed to have my wonderful boyfriend put up with my bossiness and help me create my vision in combination with his). Admittedly, in 30 degree weather like it was when Trevor and I took these photos, it keeps the heat in during breaks in the breeze. This is a low 20's dress for sure. Also, I have a coupon code for you! Enter Gabby1125 on any order over $50 to get $5 off!